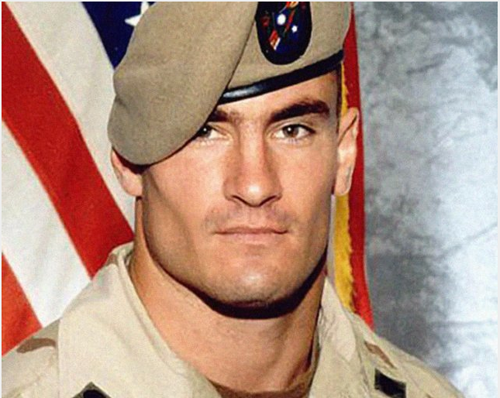 Pat Tillman [1976-2004] >> is probably one of the utmost G products of Arizona State University and on 4.20 he will be honored at the 9th annual Pat's Run which starts and finishes outside of Sun Devil Stadium in Tempe. Straight out of NOR*CAL, Tillman was a PAC-10 Defensive Player of the Year playing LB at ASU and he graduated with honors from its prestigious business school. Subsequently, he played a few solid years in the NFL for the Arizona Cardinals before turning down a $3.6M contract to enlist in the Army and serve following 9-11. Organized by the Pat Tillman Foundation, this 4.2 mile run is the non-profit's main source of funding to support veterans, active service members and their families as well as provide scholarships for this growing population, among other deeds of aid. Every year the run gets bigger and this year there is expected to be more than 30,000 participants of all sorts, all ages, running, jogging, walking, in shorts & sneaks or fatigues & boots. Even dogs do run run, they do run run. It's really a cool way to contribute to a charity, get your sweat on and have some fun with a grip of other people on an always-beautiful April morning in the desert. Members of zBORED will also be running for the thrill of it, thrill of it so register under Team zBORED and run with us. See you at the finish line or at the bars after! This entry was posted in rando and tagged arizona state university, asu, charity, fitness, nfl, nor*cal, pac-10, pat tillman, pat tillman foundation, pat's run, run, tempe. Bookmark the permalink.